Is time running out on the Enbridge Straits pipeline 5? Ken Winter, former editor and publisher of the Petoskey News-Review and member of the Michigan Journalism Hall of Fame, teaches political science and journalism at North Central Michigan College in Petoskey and Michigan State University. One has to give credit to Al Monaco, president and CEO of Enbridge, Inc., the Alberta-based company that owns the twin oil pipelines, a.k.a. “Line 5”, that run through the Straits of Mackinac. He’s in for all 12 rounds of the championship fight to save his pipeline. Monaco, his staff and marketing folks are no longer in hiding. They’re spending thousands of dollars in advertising to tell Michigan residents everything’s safe. They’ve joined local chambers of commerce, spoken to various service clubs, public gatherings, and dined with area business and community leaders to spread the word. Four years ago, few knew of Enbridge’s Line 5, nor could they find a company representative for comment. One of the most vocal anti-pipeline alliances (“Oil and Water Don’t Mix”) has some two dozen organizations united to stop the pipeline. Enbridge has a tough case to make for pipeline safety when Enbridge’s Line 6B burst in 2010 and dumped 840,000 gallons of oil into a Kalamazoo River tributary ‒ the largest and one of most costly inland spills in the country. Central Michigan University Political Science Professor Dr. James Hill told the Governor’s Oil Pipeline Task Force the status quo won’t work and worries that a spill in the straits could be significant and not quickly controlled. Former Republican Gov. William Milliken wrote in the Detroit Free Press for state leaders at all levels to act swiftly to prevent an economic and environmental disaster at the Straits of Mackinac. After initially dodging the bullet before his re-election, Republican Governor Rick Snyder stepped up to the plate in creating a Michigan Pipeline Safety Advisory Board, as his task force recommended further study of the straits pipelines and greater transparency from Enbridge. Republican Emmet County Commissioners just joined Cheboygan County asking Snyder to limit the usage of Enbridge’s twin oil pipelines until an independent analysis is completed. The Detroit Free Press just reported that emergency responders say that under high wave conditions, crucial offshore spill containment response might have to be put off for hours or even days because of unsafe boating conditions. In his newly released book, “Lights Out,” veteran journalist Ted Koppel warns about the vulnerability of America to a massive system failure or cyberattack that would cripple all we take for granted ‒ electricity, communications and transportation. The question now is whether or not this will be enough to overcome the strong gas and oil lobbyists in Lansing and Washington and make the changes that reduce the potential threats to the Great Lakes. "Central Michigan University Political Science Professor Dr. James Hill told the Governor’s Oil Pipeline Task Force the status quo won’t work and worries that a spill in the straits could be significant and not quickly controlled." What does some CMU Political Sci prof know about the intricacies of steel pipelines? In the same world where he's a quotable expert for this article, we can all be sure that these underwater pipelines would never be built, but neither would the interstate highway system, the electrical grid or even the Mackinaw Bridge. It doesn't take an oil pipeline engineer to know that Enbridge has a miserable track record for maintaining pipelines and responding to pipeline leaks. Enbridge seems willing to spend lots of money on PR and lobbying but not on maintaining the pipeline and responding quickly to spills. Our community has a pipeline (Wolverine) and the company (a shell company, an LLC) has a miserable disaster plan, won't talk to anyone, and will likely disappear if there's a huge spill. Leaving homeowners and the community and state to clean up the mess. Truly a disaster waiting to happen and not an 'if' but a 'when'. "dumped 750 million gallons of oil into a Kalamazoo River tributary" I don't believe that number is even close to being right. Yep, Bob, you're right. Fixing this now. If a newspaper Editor/Publisher and Poli-Sci Prof cannot even get his own facts straight on an event that already happened, why are we expected to give the rest of his argument on the safety of pipelines any credibility? Will a pipeline disaster add another notch in the belt to Gov. Snyder after the Flint Water crisis? He should read Bob Gate's new book on leadership. Are we supposed to be against any and all pipelines under the Straights? Or just make sure they are as safe as possible? How do we know what condition they are in? How do we know if existing oversight is adequate (especially now that we know how inadequate oversight was in the Flint water supply system)? It seems to me our job as members of the public isn't to shut down the pipeline but rather ensure it is properly maintained and inspected and we know how much useful life it has before it needs to be replaced. In the meantime, why doesn't Line 5 (and all other pipelines) have a safety system to instantly sense a leak and shut down and isolate the line when a break happens? And yes, they are going to happen. 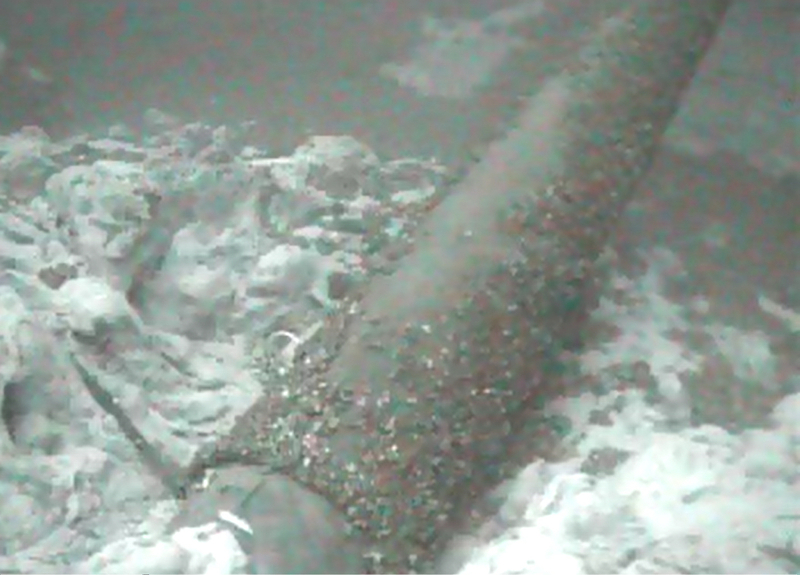 The Great Lakes Environmental Research Laboratory in Ann Arbor , part of NOAA, has posted six videos on YouTube that shows where the oil might go if the pipeline ruptures beneath the Straits. In the YouTube search box, enter "Oil spill trajectory Straits of Mackinac." Mr. Winter seems like another one of those who want things to be unsafe, who wants others to fail, who has no interest in reality and only wants what he wants. Mr. Winter appears to have made no effort to find a way to lower the risk today; he seems to prefer making this a case that will last for a decade or more in the courts with all that entails. With over 60 years of experience without the failure the ones who truly care would ask why hasn't failed, what can we learn from that experience, are there others who have experience with more extreme situations and what can we learn from them, what are the things that can be done to continue the past success. For Mr. Winter’s edification, there are companies that have been managing much more hazardous operations than what is so feared in this article for generations and have some the best performances of not letting the possibilities happen. They along with peers have even had their proven process made into regulations that could be used as a starting point to address the pipeline concerns. It is too bad those claiming to fear the pipeline have made the effort to even read the regulation, but then they could use their ignorance to justify their politics. "the ones who truly care..." Is a naive comment, Duane. Forget this author/article if you wish, but look at the facts of the actual situation and Enbridge's history. It is very concerning. As far as learning from others with more serious problems, who the hell has a worse situation than active 62+ year old oil pipelines running at the bottom of the largest fresh water system on the planet?? No one, of course. I sense an obligation to the traditional energy services industry. Ned, I do appreciate how what you have limited understanding of becomes more difficult to trust others with. That is why I challenge the truly concerned to look beyond emotion and the unknown to learn how more severe chemicals are being safely managed. There are many much more hazardous materials than what goes through the pipeline. OSHA [1910.119] and EPA have a list of such chemicals and the associated requirements for managing them. With regard to the materials of construction age really isn't an issue for metals. It has to do with service, conditions, and external forces. Why do you think that pipeline will fail? Are you worried that it will be struck by a ship with enough force to rupture the pipe, do you think the oil base product flowing through the pipeline will erode or corrode the pipeline to the point of failure? What do you believe will cause the pipeline to fail? I once lived in a community where 10s of thousands gallons of liquid chlorine were stored, loaded, and shipped, we even lived down wind. You may not be aware of how hazardous a chemical chlorine is, but it is considered highly hazardous, it is highly corrosive [ask any chemistry teacher] and yet it has been used safely for decades up on decades because the risks have been recognized and addressed. Chlorine has proven to be one of the most effective water purifiers for longer than you or I have been around. In reality life is made up of all kinds of risks, if we only wanted to avoid risks, then we would never get out of bed and live our lives, we surely wouldn't bring children into a world of such risks. I learned a long time ago that if we understand the risks, determine how we can best manage them, do what we can to control or mitigate the risks, we can live our lives for many successful years. Rather than simply say no to the pipeline, I would encourage taking a discipline approach to determining what the risks are, finding out how they can be best controlled, determining if those controls would be sufficiently effective, verify that those controls are being utilized and their practice and effectiveness are being regularly be verified. I believe such an approach to could have almost immediate impact and would avoid decades of delays and litigation and disruption in Lansing. The straits region is the nexus of tourism in Michigan. An oil spill there will be felt in more corners than anyone realizes. Not to mention the adverse effect on all those vacation homes and property values. Mackinac Island is a bastion of conservatism - I wonder how everyone there would feel about cleaning up a freshwater oil spill on those rocky shores. Sometimes the money is just dead wrong. People need not to just wake up but jump out of bed and pitch a fit. Call your reps and make them hear you. Because when the oil comes, it will never go back to how it was. Ask Louisiana. They need to get those old pipelines out of there. With solar and wind flirting with $.05 per KWH, I'm not really sure the state needs that pipeline anyway. Things have changed. Will all those commenting who work for Enbridge please raise their hand? It will help separate you from those who are merely misinformed. Thanks.